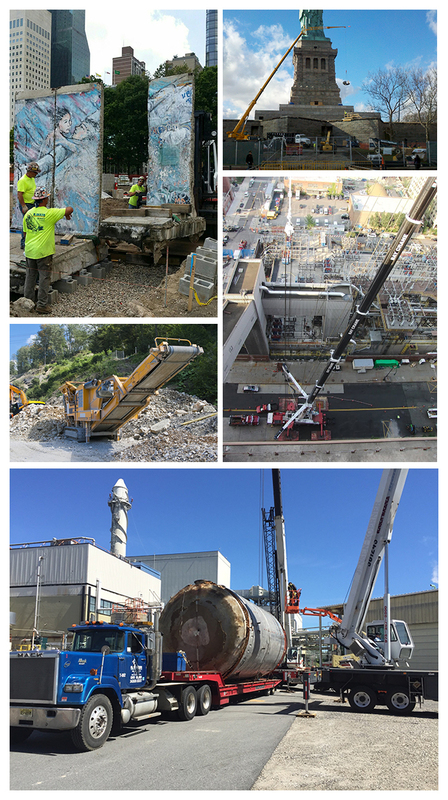 R. Baker was hired to perform total building demolition in a downtown area to make room for a new transmission station. An engineered demolition plan was provided in order to obtain proper demolition permits. The project was commissioned in a densely populated area adjecent to operating businesses and residients. Noise and dust levels were all controlled and kept to a very minimum for public safety and conveinence. The controlled demolition of existing features were coordinated with construction of new sub-staion building and equiptment. During the work day the area was constantly cleared of all debris and potential hazards and at the end of each shift the demolition area was broom swept. All debris was live loaded on a daily basis including curb, concrete, asphalt and driveways which were all removed and recycled. Total building demolition included slabs and foundations and all voids were backfilled and leveled. The project included installation and maintainance of temporary jersey barriers, silt fences and a 5 foot chain link fences with colored fabric, in order to keep the station and excavation safe and secure at all times during demolition phases. R. Baker utilized in house operators and employees who are experienced, licenced and OSHA certified. The project was completed with zero recorables and within project schedule.